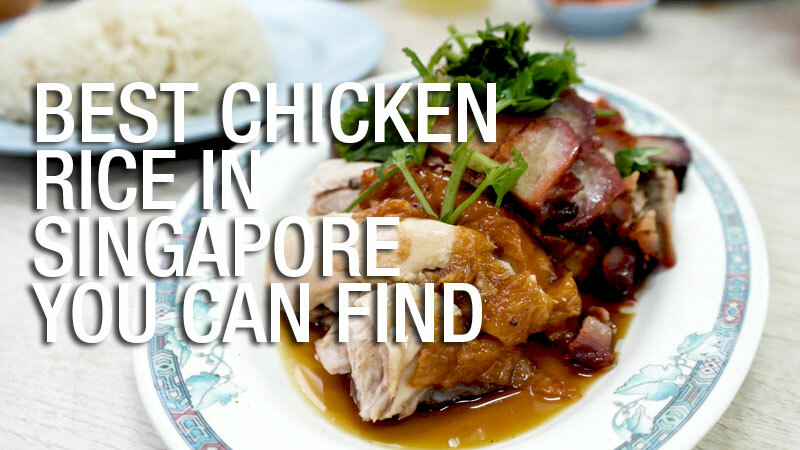 Where’s the best chicken rice in Singapore? I like to think that my love for chicken rice is unparalleled. Could I have it for lunch everyday? Sure. Dinner as well? You bet I’ll try. If chicken rice had it’s endurance-testing version of the Suzuki Impreza Challenge to win an eternally free chicken rice pass at all eateries, I’d join in a jiffy and eat all I can in an attempt to bedazzle the judges with an insatiable hunger and groundbreaking display of expanding marginal utility. 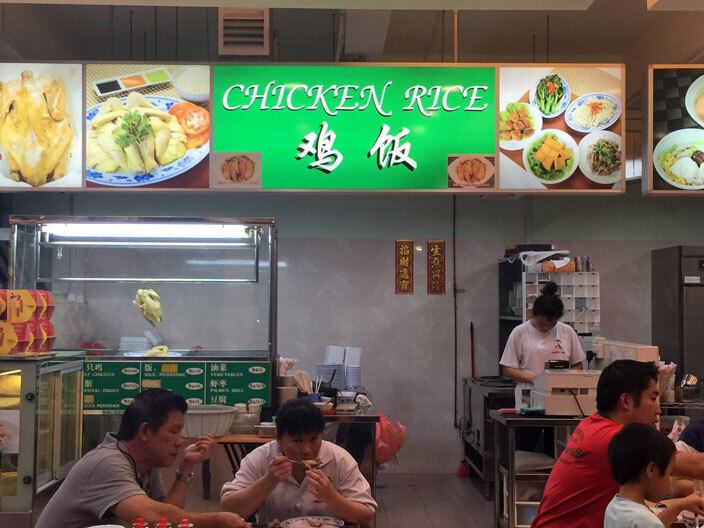 In Singapore, where Hainan-adapted chicken rice is regarded as a national delicacy, there is no shortage of the dish that need not be served hot for enjoyment. Instead, save for the most convenient stall-next-door, it probably is difficult to agree on which cook did it right. As more discerning gourmands today, our idea of perfection can be marred by a snide remark from the waiter, a stiffness in the seat, or even an unsavoury food delay. 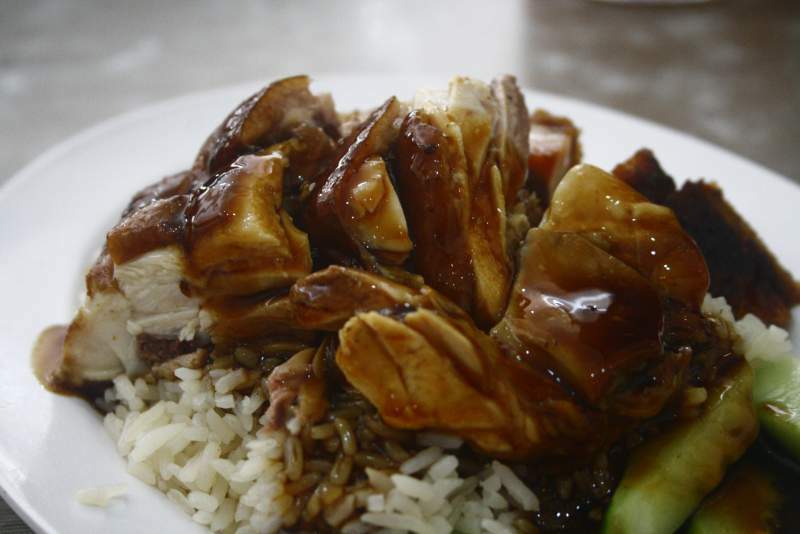 But in the pursuit of perfection, where chefs adapt and innovate, traditional chicken rice has far outgrown the old rice ball techniques (although there are still a few stalls around carrying it) and standard offerings of supplements. Located in the far west, I stumbled upon Xing Yun Chicken Rice one day when I was exploring Yuhua Market and Food Centre and decided to try it out. 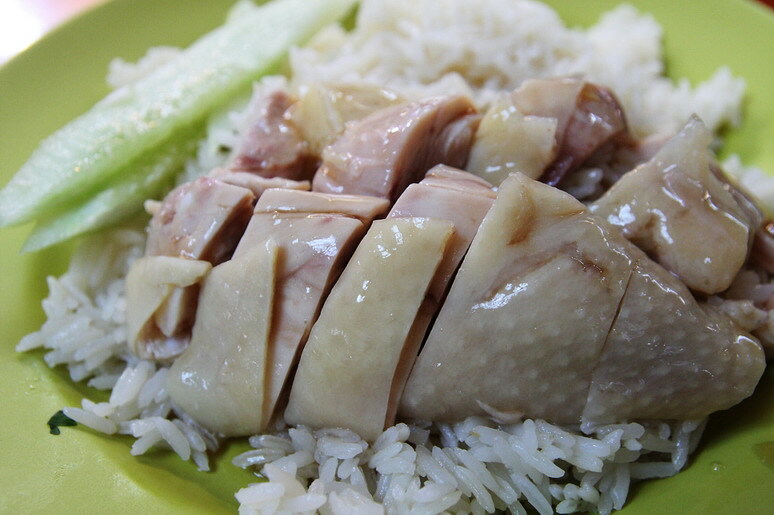 Tender and soft, chicken meat is a tad oily but rice has a fragrance and cooked perfectly. They specialize only in ‘white’ chicken meat, closing pretty early once stocks finish. At the Nonya-influenced Pow Sing Restaurant, the likes of Curry Fish Head and Prawn Paste Chicken are available on top of their flagship chicken rice. 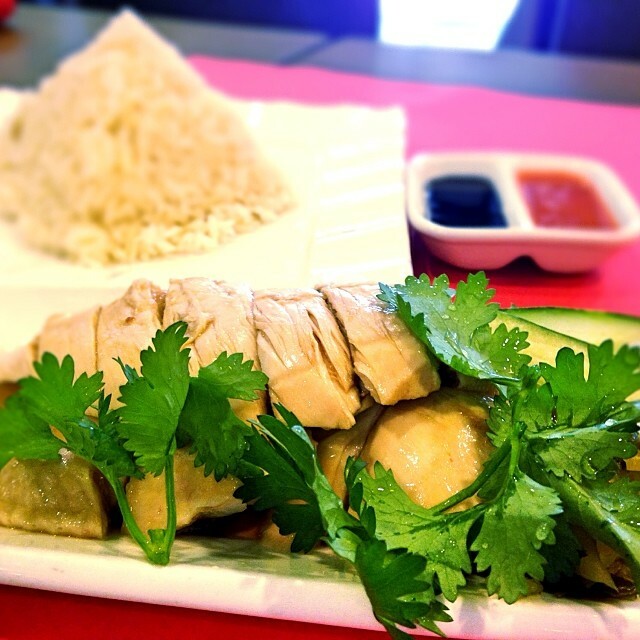 Though a commercialized retooling has transpired since its 1983 opening in the vicinity, the restaurant remains true to the traditional standards of perfectly-sliced chilled Hainanese-style chicken rice. Fragrant Rice here is far from oily, so it doesn’t exactly pack a ton of flavour. But rest assured that the ginger and chili sauce can be used copiously in your meal. 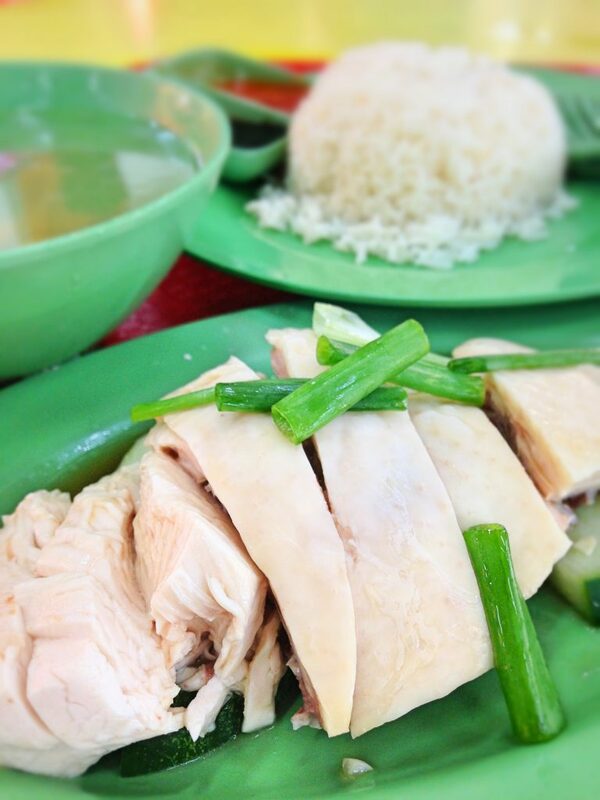 Perhaps best known to Shenton Way workers in the form of a takeaway lunch box and famous all around Singapore as the best chicken rice, Tian Tian the original at Maxwell makes a traditional set of chicken rice that has sprouted many of its kind around the country. The inviting gloss of its crystal chicken skin and beloved oily rice are some reasons you should visit the large stall before 11 and after 2 to enjoy a quieter meal at your own pace. Even Gordon Ramsay can’t beat Tian Tian when he challenged Singapore hawkers. 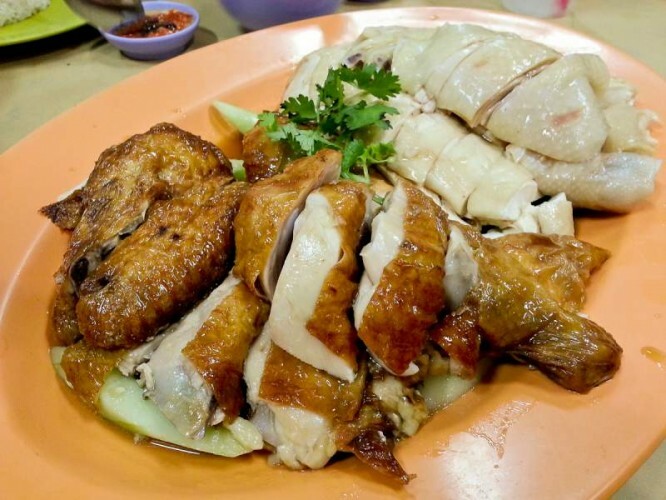 During mealtimes, expect to queue at least 45 minutes at Bishan’s Ming Kee, which dishes out crystal chicken feet and bean sprouts together with the basic chicken rice add-ons. Also note that the chili is a little watery. While it’s an open secret that chicken (especially white chicken that Ming Kee solely dispenses) should be chilled in ice at the end of cooking, the chicken here is extra succulent and cold as the butcher prepares the meat a la minute from the ice bucket. 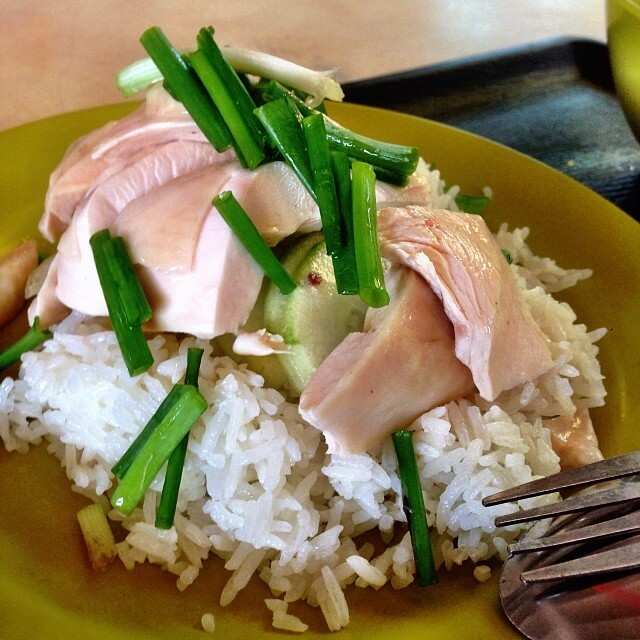 This is Seth’s personal pick for best chicken rice in Singapore. 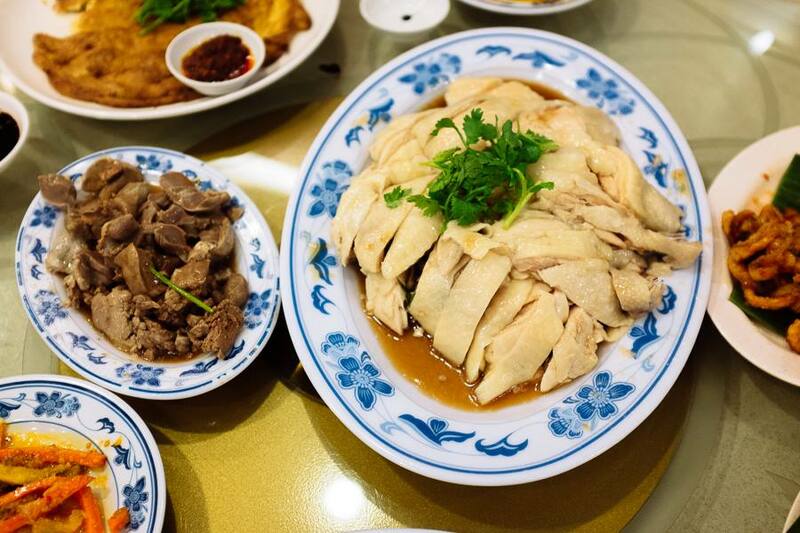 One of the more affordable options in the area, Leong Yeow has very tender roast and white chicken along with delectable char siew and sio bak. The chicken comes all oiled up and the chili is also not too spicy yet still having its distinct fragrance. Leong Yeow is probably the most famous chicken rice hawker stall in the Bras Basah area, so you know you’re at the right stall when you see the long snaking queue. 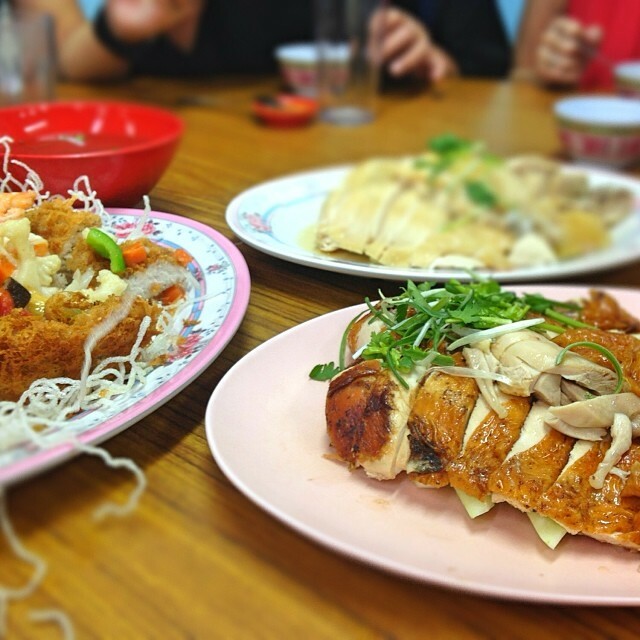 Like Pow Sing, Chin Chin dishes out more than just chicken rice and has become home to many families searching for a bountiful and affordable dinner. I must make special mention of its delectably oily rice that is my preference. At Chin Chin, overcooking of the chicken is strictly refrained, which at times results in reddened meat near the bone. Otherwise, effective cooking here ensures you wait no longer than 10 minutes for your serving of chicken rice. 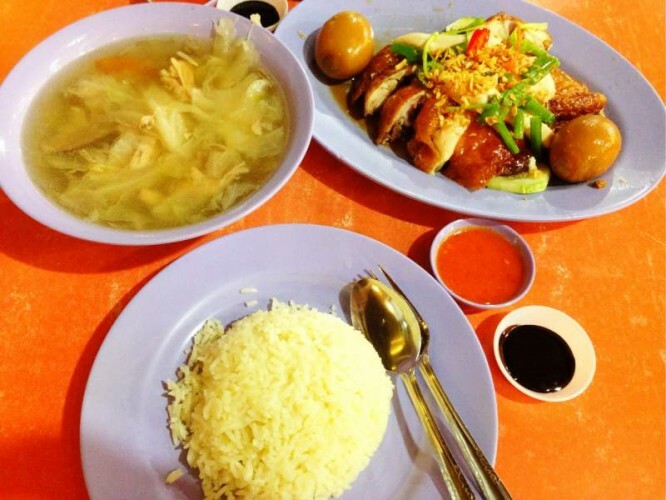 A little off the Toa Payoh Police Centre is open-air restaurant Lee Fun Nam Kee, famous for its rich and tender soy chicken as well as the sweet-savoury gravy that is most complementary with its dry rice and other meats. Its roasted pork features a madly crispy skin as well. Pricing may come as a little shock with the rather long wait you have to endure while seated. I can’t be sure how much weight this may bear, but rumour has it that this Alexandra Village stall sells founding father Lee Kuan Yew’s favourite chicken rice. The boneless chicken that comes with a side of acha is very evenly sliced by the butcher and its soft skin is dressed heavily with soy sauce. Together with the fragrant and soft grains, you’ll be guaranteed a tender meal overall. 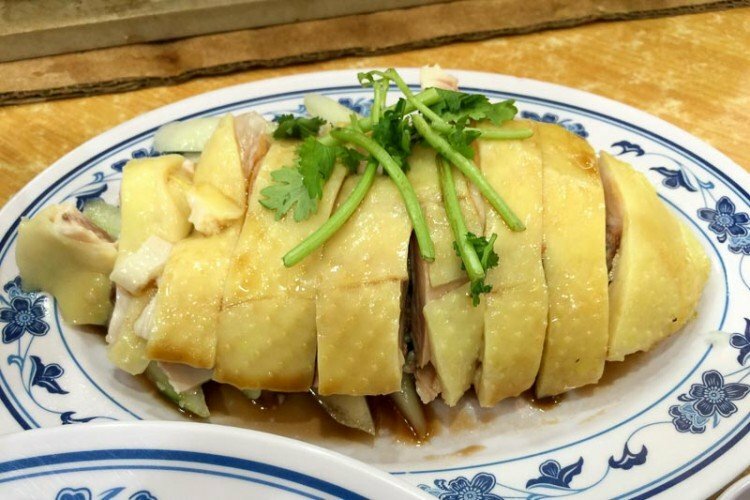 The lovers of bone and cartilage will be pleased to know that Hua Kee thickly slices its chicken without removing the often sinewy bone. As a dedication to meat freshness, the stall with rather firm rice chooses not to operate on 2 days, for its chicken supplier cannot provide imports on Monday. Hua Kee also closes by lunchtime, perhaps because the owners like an early rest or that they tend to shy away from the spotlight. A direct translation of Chicken House does an objectionable injustice to its kampong-procured chicken that it chooses for flavour intensity in all its rice, soup, and flesh. 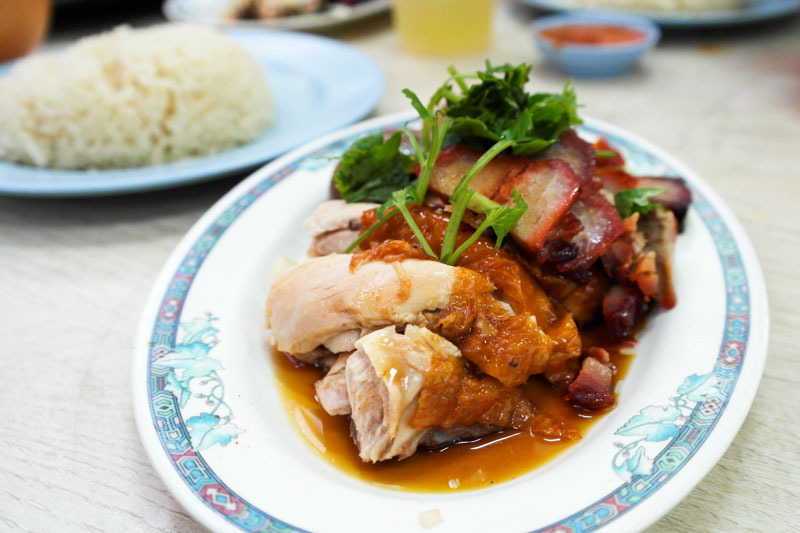 Kampong chicken is also known to be leaner and healthier, and can be distinguished from its yellow skin, but not as juicy as other chicken rice stalls though. There are 2 branches, one at Upper Thomson and the other at Lorong Kilat which is a tad more ulu. The chicken is also sold out typically quite early around 7ish. 20 years of serving people living in the Yishun district has prepared this stall to effectively tackle the slew of lunch orders they receive daily. The juicy chicken that is coated in a thick layer of soy sauce is cooked at what the owners deem the optimal temperature. And because it is strictly boneless here, you can be guaranteed an equitable share of chicken for your money. Nam Kee is one of the oldest chicken rice restaurants in Singapore, with heritage going back more than 30 years. Many of our parents or even grandparents love this stall for its old school, no frills decor and classic chicken rice. They also serve a variety of Chinese zi char dishes in this restaurant that makes it perfect for family dinners. Staff are known to be grouchy in these super old restaurants though, so don’t expect much service. 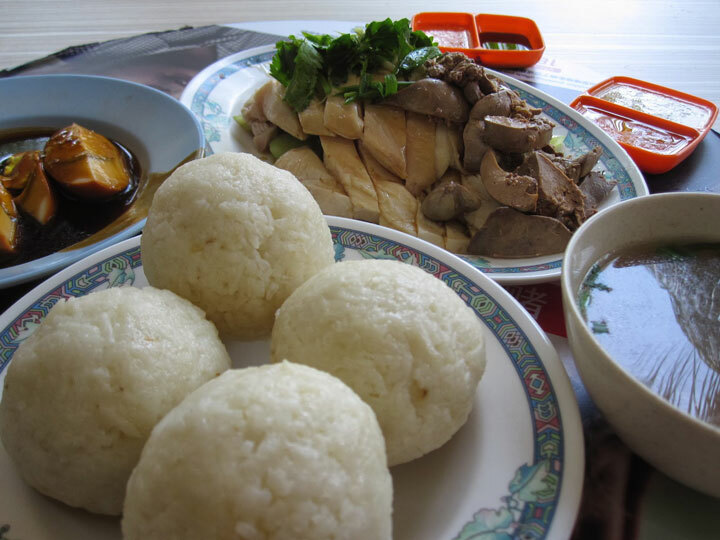 Good Year serves traditional chicken rice balls which is quite hard to find in Singapore, and for many younger generations can be a novelty while the older crowd will find it nostalgic. Although chicken is decent, I find chicken rice balls to be starchy and mushy and much prefer the standard chicken rice. Still, it’s worth mentioning this stall for its uniqueness. Other chicken rice ball stalls you can find in Singapore include Hainan Chicken Rice Ball at Jalan Besar and in the Malaysian Food Street at Resorts World Sentosa. 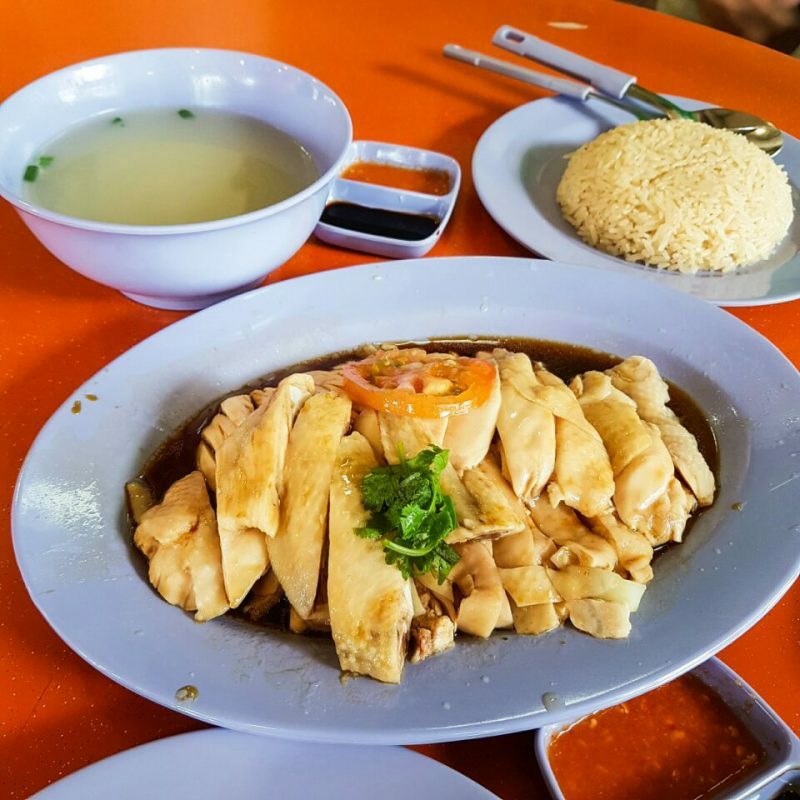 After exploring chicken rice balls, now we present chicken rice pyramid at Boon Tong Kee – that’s how they plate their rice. Another well-known chicken rice brand in Singapore, I found that since expanding multiple outlets Boon Tong Kee has steadily increased prices while the restaurant gets fancier with other dishes, losing its original charm. Still, quality has been pretty consistent among the various outlets although it isn’t as good as it used to be. Lurid colours emblematic of creative visual appeal are displayed in the bright yellow rice, soups, complimentary acha, and glistening chicken. Other than the yellow, I’m no advocate for the slightly dry rice, but the cold and tender chicken is doused in an incredibly tasty soy sauce that I always use on the rice. Once you are acquainted with this sauce, pretty much everything on that plate will disappear. You’ll be able to recognize a generous business once you’re offered 2 types of home-quality soup, 3 kinds of sauces, and a limitless container of acha with your chicken rice order. Also, because they’re so efficient, a 15-minute wait should be the maximum at peak hour. In all my years of chicken rice consumption, there has yet to be consensuses on whether greasy or dry rice is better, roasted or white chicken dictates quality, or dry or wet chili is preferred. 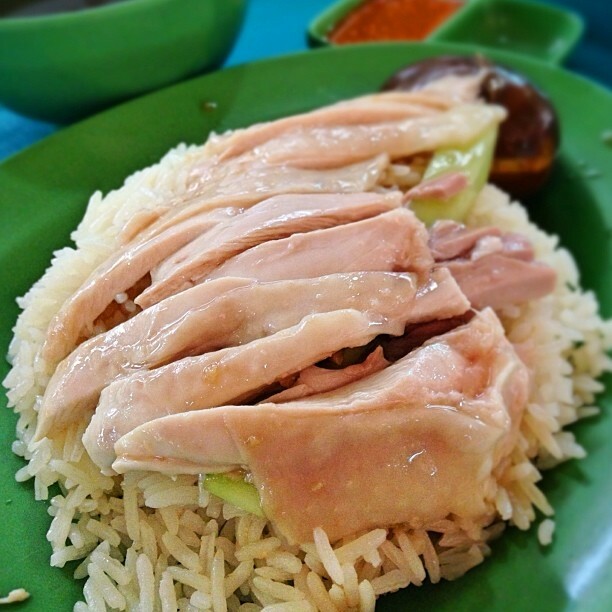 The best chicken rice in Singapore is highly debatable. But as far as the quality of chicken, I have never (barring health freaks) for the life of me heard anyone profess their love for tough, skinless flesh, so I hope the 鸡饭 fans out there will get to taste the delicious juicy chicken that the 10 listed stalls painstakingly prepare. I expect some fierce debate on where the best chicken rice in Singapore is, as chicken rice is practically our national dish. Do let us know if you believe any other stall is worthy of mention so they may make the list. Happy munching!